How do I know what to teach in a given year group or Key Stage? How do I interpret the Curriculum and know what to teach? What if learners haven’t covered the subject content knowledge from the previous Key Stage? What if learners are new to my school or I don’t know what my learners already know? Where do I start in building stronger transition links and how will this improve our curriculum planning? How do I plan a high quality curriculum? Have you any advice on planning a learning journey? What planning does my school have to provide Ofsted during an inspection? How do I ensure consistency and continuity between colleagues teaching computing? Do I need to change all my learning journeys, and how much can I use from the old ICT curriculum? I don’t know what to change first? How do I begin planning a Learning Journey? Why can’t I simply download or buy one of the many learning journeys available? My school has brought into a set of learning journeys by a publisher, but I don’t know where to start. Do I have to follow the learning journeys in the order presented by the publisher? Doesn't Computing just appeal to boys? How do we address the expectations and perceptions of learners about the subject? How do you engage all learners in Computing lessons? How do I plan lessons with Computational Thinking embedded? With the abolition of assessment levels, combined with a slimmed down Curriculum of two pages for Key Stages 1-3, it’s vital to have a correct and shared interpretation of the breadth and depth of the curriculum that meets your learners’ future needs, a shared understanding of Computational Thinking and what progression looks like. This will be important to ensure positive outcomes for learners. "Assessment and pedagogy are inextricably connected. Assessment of pupils’ attainment and progress should be directly linked to the curriculum followed by the school." Therefore, after reading this free guide on Planning for Key Stage 1 – 3 we suggest that the next FAQ guidance in the series to read is Managing Key Stage 1 – 3 Assessment and Managing Key Stage 1 – 3 Progression in a system of assessment without levels. Guidance from the Department for Education describes how the new National Curriculum Programmes of Study has been designed to give teachers greater autonomy and flexibility in what is taught to learners. However, with a slimmed down National Curriculum it requires the Programmes of Study to be interpreted at an appropriate breath and depth and the development of curriculums for the learners in each school. Therefore, the emphasis should be on designing learning journeys (schemes of work) that builds on what learners already know, understand and can do, and should be adapted (based on assessment) to meet the learners’ needs i.e. addressing gaps in their understanding. "The new National Curriculum puts greater emphasis on the specific knowledge pupils should acquire by the end of each Key Stage and requires greater depth and detail of learning." and goes on to suggest that this type of curriculum "encourages the wider exploration of subjects which results in higher attainment and greater enjoyment" [by learners]. On page 13 and page 17, it goes on to justify the abolition of ‘levels’ because of their adverse affect on planning. "Too often [assessment] levels have dominated lesson planning. Teachers planned lessons which would allow pupils to learn or demonstrate the requirements for specific levels. This encouraged teachers to design and use only classroom assessments that would report a level outcome. As a result, formative classroom assessment was not always being used as an integral part of effective teaching. Instead of using classroom assessments to identify strengths and gaps in pupils’ knowledge and understanding of the Programmes of Study, some teachers were simply tracking pupils’ progress towards target levels. The drive for progress across levels also led teachers to focus their attention disproportionately on pupils just below level boundaries." and instead "It is about deep, secure learning for all, with extension of able students (more things on the same topic) rather than acceleration (rapidly moving on to new content)." Key stage 1 and 2 learning is focus on the learning statements from the Pink to Purple row. Key Stage 3 learning is focus on the learning statements from the Purple to Black row. For more details about how the Computing Progression Pathways adheres to this ethos of the new National Curriculum and assessment without levels please read the guidance by Innovate My Curriculum on Progression in Computing and the Computing Progression Pathways. For a breakdown of how the Computing Progression Pathways learning statements align to National Curriculum Programmes of Study statements please register for a free trial of the Innovate My Curriculum application. Some schools have developed a learner profile that outlines what Key Stage 2 or Key Stage 3 ‘ready’ may look like in their school i.e. an understanding of what learners should know, understand and can do. Many of these schools are selecting learning statements from the Computing Progression Pathways to define this. It is important to identify the gaps in their understanding then use this to start teaching from i.e. the learning statements (in the particular colours / rows for the different topics /columns) from the Computing Progression Pathways. This approach will enable schools to begin their curricular planning and teaching at the appropriate learning statements in the Computing Progression Pathways. One approach could be to begin by using any existing assessment data from Baseline assessments or working with learners to develop a KWL grid (What do learners know, what do they want to know, and what they have learnt) to build an understanding of what the learners know, understand and can do before starting a learning journey. An example of a KWL grid that can be used with brainstorming activates can be downloaded from Wigan Schools Online. What if the learners are new to my school or I don’t know what my learners already know? "Although levels were intended to define common standards of attainment, the level descriptors were open to interpretation. Different teachers could make different judgements. Teachers receiving new pupils frequently disagreed with the levels those pupils had been given by previous teachers. Consequently, the information secondary schools received from primary schools was sometimes felt to be unreliable or unhelpful." If learners are new to school, then schools could make these decisions based on evidence from Baseline assessments and the feeder school transition data that joiners should have. For further details on using Baseline assessments and examples of providers of such assessments read the related FAQs in the Managing Key Stages 1 – 3 Assessment. In theory, in reporting attainment and progression without levels, with an emphasis on what learners know, understand and can do, it should make the transition of learners between schools much smoother. Building stronger transition links between the school phases i.e. Primary to Secondary, is essential for ensuring continuity of learning for learners, to maximise their outcomes. There are a number of successful projects, each with a slightly different approach to choose from, for example, Code Club and Digital Schoolhouse. Both of these project providers have an excellent range of teaching resources aimed at Key Stage 1 and 2 learners that Secondary schools could use with their feeder primary schools in both extra curricular clubs, and off-timetable days. "convinced that no curriculum could ever, at the same time, be balanced, rigorous, coherent, vertically integrated, appropriate, focused, and relevant. And of course they would be right. The seven principles are not really goals or things we should aim for; the principles are always in tension, and often in direct conflict. The purpose of the principles is to provide a set of ideas with which schools can examine their curriculum, see where the trade-offs are being made, and check that these are trade-offs with which the school is comfortable." Step 1: Involve colleagues in the planning process to ensure that they buy into the new learning journeys developed. Begin by reviewing the Computing vision (developed whilst reading the Managing the transition from ICT to Computing guidance) as well as identifying colleagues areas of interest and subject expertise (this helps to gain ‘buy-in’ from colleagues when teaching the new curriculum). Step 2: Begin by sketching out an overview for a Key Stage, and then by each year. Do this by mapping out the structure of the school’s terms and half terms (with calendar dates) to calculate the number of weeks in any given time period e.g. Year 1 Spring Half Term 1 is 5 weeks and Year 1 Spring Half Term 2 is 6 weeks. Remember that the number of lessons taught to learners may be affected by events such as bank holidays and staff training. Step 3: Next, review any baseline test data or transition data from feeder schools (or parents) to lay the foundations by selecting the statements from the National Curriculum Programmes of Study or learning statements from the Computing Progression Pathways that you plan to cover in those terms and half terms. Remember that learning journeys should always build upon what has been taught previously, and lay the foundations for future learning journeys. Step 4: Review existing learning journeys to identify what worked well from the previous curriculum. Next, identify how these existing learning journeys could be reused in the school’s new Computing curriculum, and if necessary, how it might need to be adapted, including the updating of vocabulary. Step 5: Identify and decide upon the ‘why’ of your new learning journey. It is important to choose a real world focus for activities, ideally by making relevant cross-curricular links to other subjects, contexts and experiences. Step 6: Identify the learning outcomes that underpin the learning statements from the Computing Progression Pathways or National Curriculum Programmes of Study (in step 3). Remember what makes for good wording in a learning outcome, and how these words map to the categories of Bloom’s Taxonomy i.e. Know, Understand, Apply, Analyse, Create, and Evaluate. Step 7: Select teaching resources e.g. activities, to meet the intended learning (learning outcomes from step 6) and associated curriculum coverage (in steps 3 and 6 above). Step 8: Next, map the opportunities for developing specific Computational Thinking skills (from the CAS Computational Thinking Guidance for Teachers) through each chosen teaching resource. However, colleagues can complete this step after teaching a lesson to the learners, although it can be useful to think about the thinking skills that will be developed through the activity during the planning process. Step 9: It is important that colleagues do not treat the planning produced centrally as a script to be implicitly followed. Instead, encourage them to adapt the planning to meet the specific needs of their learners. Step 10: When teaching the lessons, encourage colleagues to record attainment (through a range of formative assessment opportunities) and note the Computational Thinking skills they believe learners to have developed, based on those activities which the learners complete. It is also important to encourage colleagues to provide feedback on the lesson plans to help inform future planning, including future iterations of lesson plans that have already been delivered. Learning journeys may vary in length (number of lessons) but should be made up of a series of lessons. There should be continuity in the planning and formative assessment opportunities identified to ensure that all learners optimise progression. Theme/topic (setting a challenge, or hook for the learners at the start of unit). If any trips are planned to support the teaching of the learning journey, then it should adhere to the relevant school policies. "Ofsted does not require schools to provide individual lesson plans to inspectors. Equally, Ofsted does not require schools to provide previous lesson plans. Ofsted does not specify how planning should be set out, the length of time it should take or the amount of detail it should contain. Inspectors are interested in the effectiveness of planning rather than the form it takes." How do I ensure consistency and continuity when getting colleagues to teach the planned curriculum? This can be tricky to achieve owing to curriculum pressures and staff CPD needs. One approach would be to manage the transition by understanding colleagues CPD needs, combined with a gradual changing of the curriculum over a number of years and inline with the development plan. For further guidance on this topic read the Managing the transition from ICT to Computing FAQs. Make colleagues aware that the emphasis is not on acceleration through the teaching materials, but there should be a balance between ensuring that learners have developed a solid understanding of the key concepts, principles, and skills versus the proposed learning journey timescales. Ensure that colleagues meet the needs of learners, and are aware that any planned variations (based on formative assessment) from the original centralised planning should be encouraged. Wherever timescales allow, as long as the overall aim of the learning journey is still met, colleagues should use additional teaching materials or alternative approaches. Use other colleagues, such as Teaching Assistants, or parent helpers to either deliver teaching resources or to support differentiation of learning (by support). In some scenarios, it may also be appropriate to use Class Computing Champions (chosen by the class teacher) to lead the learning and/or supporting the less able learners. How much needs to be changed will vary from school to school, but should be based on reviewing your curriculum based on learners’ needs. It is important that schools evaluate their starting point, mapping existing curriculums to the Programmes of Study or the Computing Progression Pathways, before deciding what needs to change and the priorities areas for curriculum development. All the learning journeys (schemes of work) do not need to changed in the first or even second year after reviewing the curriculum, especially if colleagues require CPD to enable them to develop and deliver the new learning journeys. One approach could be to test out new journeys, and develop colleagues’ confidence in extra curricular clubs, for example. By refreshing old learning journeys with new activities and approaches this can also provide a foundation to build colleagues’ confidence, and stagger the CPD demands of colleagues. Begin by watching Miles Berry, in the Department for Education funded CAS QuickStart Computing, when taking those first few steps towards developing a new Computing Curriculum. Although it is aimed at primary colleagues, it is still very relevant for secondary colleagues also. Removed because they do not meet any of the learning outcomes associated with the new Computing curriculum. Adapted so that they better meet the learning outcomes; by asking if there are any concepts and principles missing? Are any less important that others? Could some be combined? Supplemented especially with the learning outcomes associated with Computational Thinking. Prebuilt learning journeys can be a great starting point, but let’s face it, they should come with a health warning that they cannot be used effectively off the shelf. Like any lesson plan they are individual to those who wrote them and the learners upon whom they were tested. As any teacher who has used someone else’s planning will know, it will never have the required impact unless it’s personalised both to the class and the teacher delivering the lessons. Take into account colleagues needs, understanding and confidence. The challenge is to know how to adapt and integrate great teaching resources into existing school curriculum effectively. My school has brought into a set of learning journeys by a publisher, but I don’t know where to start? It would be a lot of change in the first year to implement a whole new scheme across all year groups. Many publishers will recommend gradually implementing new learning journeys into the school’s curriculum over time. This is a transition period and it is important to remember that successful change needs to be managed and an awareness that it will take time. The key to this process is the mapping of existing and new learning journeys to the school’s curriculum e.g. the Computing Progression Pathways and National Curriculum Programmes of Study. It is through this process that will ensure that the learners needs (both breadth and depth) are met. Depending on the publisher and the resources, learning journeys do not have to be taught in the order that they are presented. One approach could be to identify the specific learning journeys that are a priority to integrate, and ensure that these learning journeys build on what has previously been taught, and that learners won’t have any gaps in their understanding. As confidence in the teaching resources and the mapping of your curriculum grows, reordering (and even combining) learning journeys may become an option. Mapping the progression for the learning journeys to the Computing Progression Pathways will help the process of deciding what order to teach learning journeys because it will help to identify the dependencies between the content in the different learning journeys. No, absolutely not! There’s a view that girls enjoy real-life, meaningful projects that are cross curricular and creative; emphasising the STEAM (Science, Technology, Engineering, Arts, and Maths) agenda. By focusing on stereotypical scenarios, for example, asking learners to create a spreadsheet for football league results, or newsletters on fashion, we are alienating many learners, both boys and girls, from the subject. Through setting stereotypical problems with limited scope, the aims of the National Curriculum aren't being embraced to enable learners to "use Computational Thinking and creativity to understand and change the world". By choosing STEAM projects we are not discriminating against any particular groups of learners. 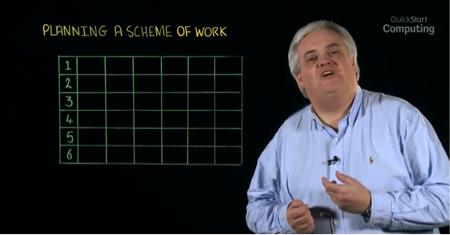 For tips on teaching Computing with real-life, meaningful projects that are cross curricular and creative, watch the short video featuring Mark Dorling at BETT 2013. If you would like more ideas, book one of the Creative Computing: Speed Lesson session from Innovate My Curriculum. The new Computing curriculum has a focus on technology, but there is a greater focus on the concepts and principles that underpin the technology. 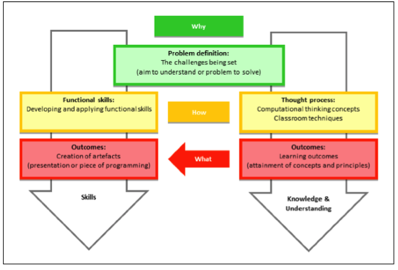 There is also focus on the thinking skills (Computational Thinking) associated with developing an understanding of problems and solutions. In the words of Edsger W. Dijkstra "Computer Science [Computing] is no more about computers than astronomy is about telescopes." Dijkstra is essentially saying that you don't need a telescope to the look up at the stars, in the same way as you don't need a computer to study Computing. Applying his philosophy to the classroom, there are some excellent unplugged activities, freely available on the Internet, that develop Computational Thinking skills, including for example, the world famous CS Unplugged and CS4FN websites, which have unplugged challenges to keep you busy all year! Using unplugged activities will help to address your learners’ expectations and perceptions of your Computing lessons. It will encourage them to think about computers being a tool, rather than the focus of the learning. Some marketing methodologies suggest that people buy the ‘Why’, and not the ‘What’. They are seduced into buying the product through projections of lifestyle, and how the product can help them attain that. Yet traditional ICT curriculums have mainly focused on ‘What’ are we going to teach?, ‘How’ we are going to teach it, and then finally considering ‘Why’ are we learning it - usually to pass an assessment. Using project-based learning focused on the ‘why’ is the crucial hook needed to engage learners and make the learning real to their lives. This is important in order to engage all learners and can be achieved by listening to what interests them. Use their views to focus on real life or cross curricular challenges that reflect their interests. For further guidance on the ‘Why, how and what’ described above and how it enables classroom practitioners to develop Computing curriculums that have Computational Thinking at their heart, read the CAS Teach Primary Computing pages on Getting started with planning. The planning, teaching, and evaluation cycle is recognised as good practice. There is a saying that "evaluation is to teaching what assessment is to learning". Therefore, after planning and teaching a lesson it is important to evaluate the lesson and combine this with any formative assessments of learners’ progress when planning the next lesson in the learning journey. There are many different approaches to planning lessons. It can be a process as individual to teachers as the way they deliver lessons. It is important to note that some might swap steps 2 and 3 in the four step process i.e. starting by selecting activities and then identifying learning outcomes to match; however, it is likely to be the fourth step in the process that will be new to many, that is, identifying the computational thinking within activities. Whilst embedding Computational Thinking into lesson planning and getting to grips with Computational Thinking in the classroom, another approach that some experienced Computing teachers suggest is that some colleagues may benefit from using the evaluation phase of the planning, teaching, and evaluation cycle to review what Computational Thinking capabilities were actually developed during the lesson, and record this experience for the next time that the lesson is taught. The evaluation of lessons and the assessment of pupil progress will feed back to Step 2 to 4, determining the next ‘what’ of the curriculum. 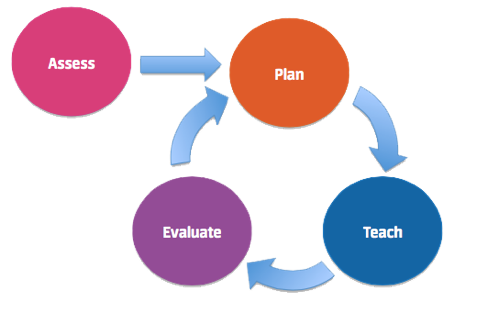 For further guidance on the four step planning process in relation to the ‘Why, how and what’ diagram, read the CAS Teach Primary Computing webpages on Getting started with planning and Writing lesson plans.